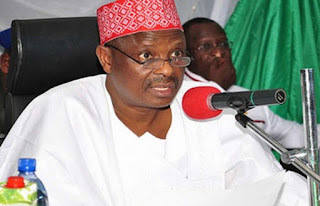 The Amalgamated Igbo Political Pressure Group (AIPPG) has endorsed the presidential candidature of a former Governor of Kano State, Sen. Rabiu Kwankwaso. The group, in a statement signed by its National Coordinator, Lady Rosemary Ukiwe, and the National Secretary, Romanus Azubuike, in Abuja said they were convinced that the former Kano State Governor had the right credentials to move Nigeria forward. The group stated further that the laudable achievements of Sen. Kwankwaso in Kano as the chief executive of the state were unprecedented, hence the need to give him the bigger challenge of leading Nigeria. It described Kwankwaso as a bridge between the young and the old, arguing that Nigeria needed a vibrant leader with energy to turn things around. “After careful consultation and screening of all the available aspirants from the North for the 2019 elections, we have come to the conclusion that Sen. Rabiu Musa Kwankwaso is the most suitable person for the presidency of Nigeria,” the statement said.